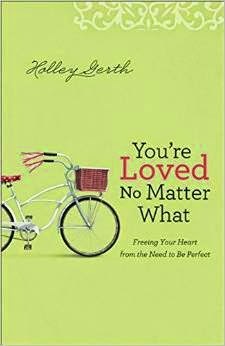 The subtitle to the book is “Freeing Your Heart from the Need to be Perfect” what a strong message we all need to be reminded of when pressures mount either from within ourselves or from without. Women strive to be perfect or at least their idea of it but that striving ends up with more burdens to carry especially when a woman falls short. Can the pursuit of perfection keep us from hearing from God what He longs for us to hear? The author reminds us that we are supposed to be perfect; in fact we won’t be prefect this side of heaven. Our sinful flesh keeps that target of perfection always out of reach but Jesus well He already knows us, intimately. Jesus isn’t asking for our vain attempts of perfection at all! In fact He is acquainted with all our ways and loves us more than we can comprehend. Within the pages the author calls women to discover fact from fiction, what perceived expectations or demands are from what our reality is called to be. Now lest you think just reading the book will bring instantaneous change it won’t there are choices to be made and some maybe hard. The bottom line is how much do you want to be free from perfectionism? If you’re ready to journey to freedom then read, prayerfully ask the Lord what He would have you do and then go forth.